REALTOR Magazine has published an article on green building’s impact on commercial buildings. It features our Evergreen Terraces Office Building design including images and information on the client and realtor. We designed the building and completed the LEED research and design work. On January 15th the Denver Housing Committee welcomed guest speaker Paul Kriescher with Lightly Treading. Paul talked about the services his company provides to homeowners, including consultation on how to maximize energy efficiency in your home. They offer different types of home energy auditing. A Blower Door test for example, tests for air leakage within the home. An Infrared Camera inspection looks for missing insulation and water leaking into the walls from the outside. Using the IR Camera along with the Blower Door test is the most accurate and effective tool for finding air leakage within your home. In May of ’07, a law was passed requiring an effort to improve energy efficiency, also known as the Demand Side Management Program. This program requires that 1.25% of the budget be spent on incentives for home builders and building owners. Lightly Treading is working with Xcel Energy to offer rebates to their customers for energy auditing. Only 58 days ago I posted that EVstudio.info had passed 10,000 hits and now we’ve quickly doubled that to 20,000 hits. Many days we have over 300 hits to the website and it is encouraging that we are providing information that is really valuable to the community. Thank you for visiting the site and providing your ideas and insights for topics. Our topics really do come from our clients, staff and visitors and we always have room for more ideas. I’ve also noticed a real boost in our Google rankings with “Denver architect blog” and “Colorado architect blog” continuing to rank us at the top along with a whole host of terms that we now consistently appear for. 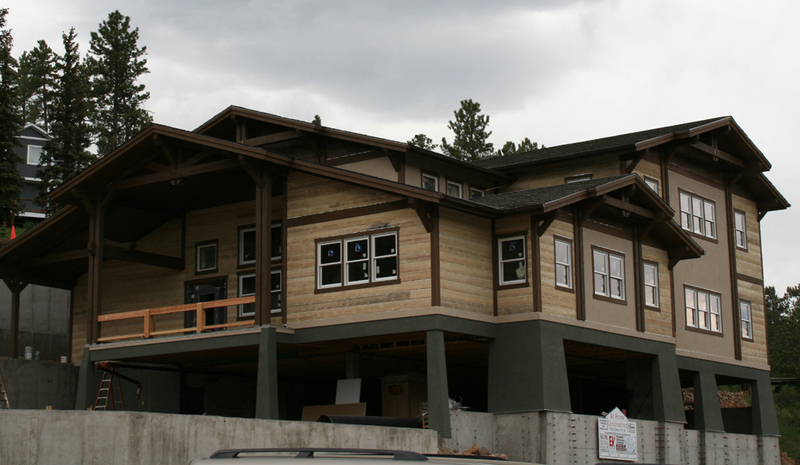 Now completed, the Schuler Residence in Lake George is a log home that is completely off grid due to it’s remote location in the mountains of Colorado. The home has a photovoltaic (PV) array with a full battery storage system as well as a propane tank and a site managed water and wastewater system. Also on the boards is the Evans Residence in Clear Creek County. This home was also designed to be a log home and is designed with a cistern, a greywater system and a composting toilet. 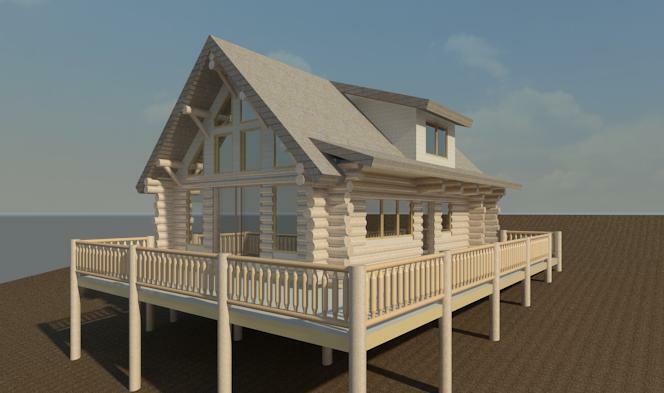 This home will have no electricity whatsoever and will have a propane refrigerator and gas lighting. A much more rustic cabin than the Schuler’s state-of-the-art home in Lake George, but certainly another approach to going off grid. We’ve done two other off grid cabins in addition to these, both with various systems to qualify them under the current building codes. There are a lot of common systems and synergies that we apply to off grid homes as well as sustainable on grid homes. Most clients who elect for a home off grid are driven to do so because of the economics of bringing in electricity, however many people are now considering these systems for rural, suburban and even urban dwellings. If you are thinking about building a home off grid or are electing to integrate these kinds of systems into any building, give us a call and we can help! EVstudio is a firm that designs for many building types. We believe that we are better architects because we practice many types of design and as a result we look carefully at each project and listen to our clients rather than applying a common solution. However, we do have some project types that we particularly enjoy and one of those is architecture for schools and educational facilities. 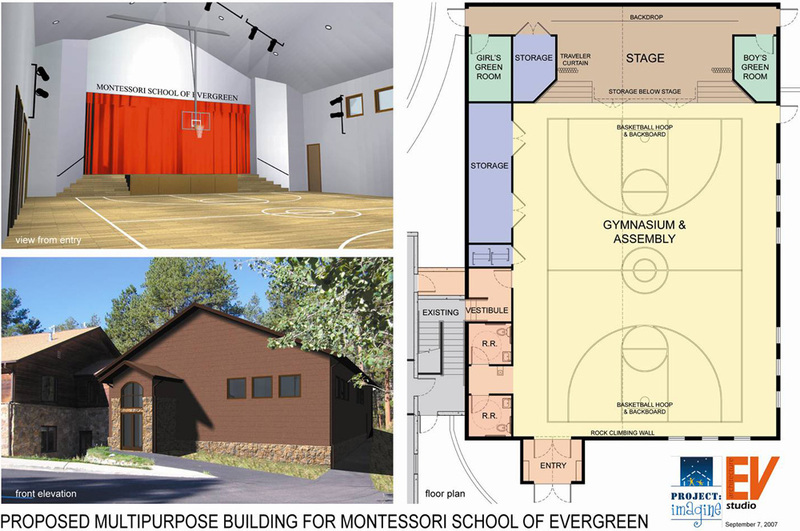 A recently completed project was the design of the multipurpose addition to the Montessori School of Evergreen. The building was a fairly simple addition, the real challenge was working with a committee to balance differing expectations and build consensus. We also had a very challenging site and budget constraints. The project was completed in December of 2008, the illustration is a board that we did for their fund raising efforts. EVstudio also has experience with higher education and technical schools. We recently completed a design for the Ohio Center for Broadcasting, Colorado Campus. 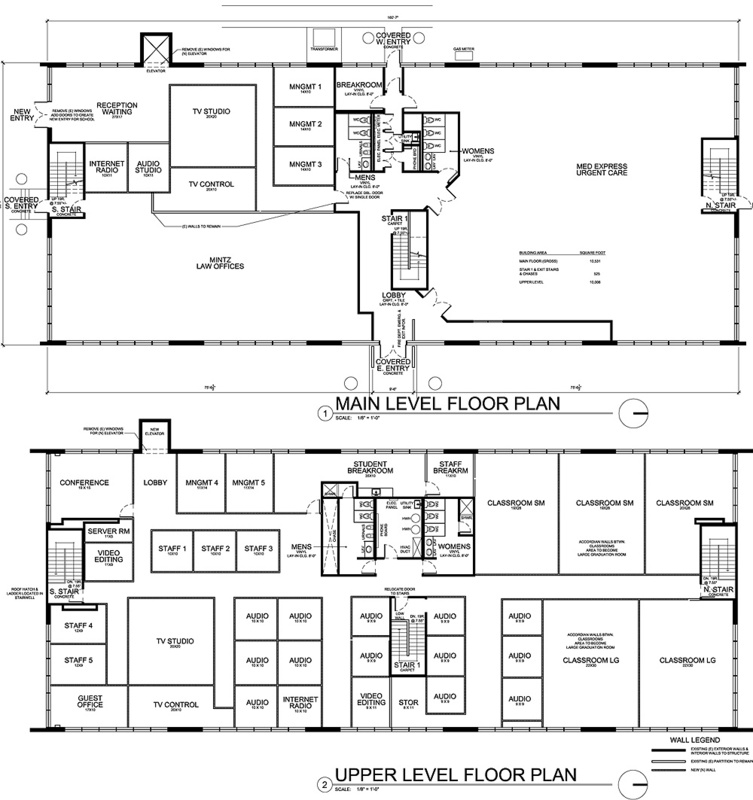 It is an 11,000 sf facility with classrooms, offices, studios and editing spaces. This was our first conceptual layout. This is a picture of the children’s handwash stations at Fisher Early Learning Center. We did a renovation of all of their classrooms and bathrooms to meet the needs of the teacher’s working at the preschool and the children attending. 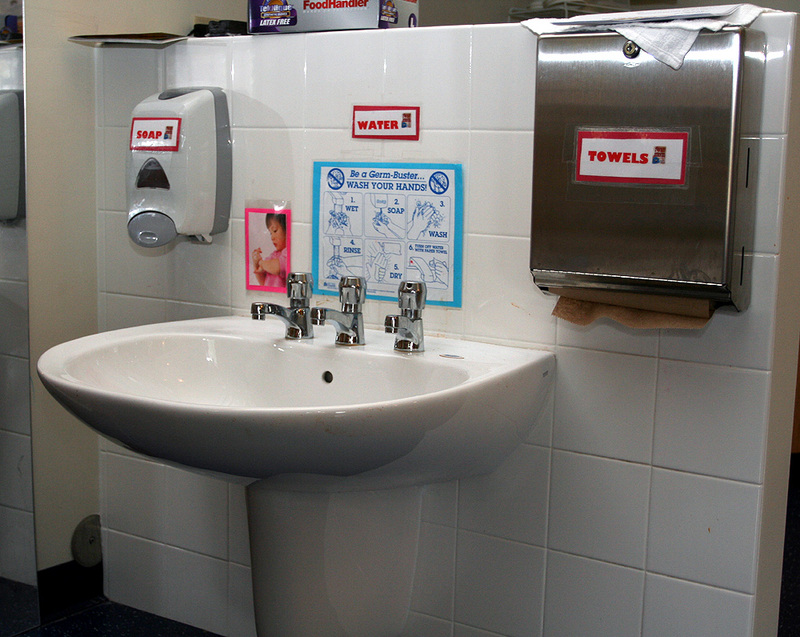 This was a custom solution that we devised based on listening to the issue they were having with multiple children needing to wash their hands in limited space. We really enjoy working through the details. In addition to this group EVstudio has recently worked with the Denver International School and the University of Denver on projects. We’ve also consulted with several schools on their master plans and given advice on projects that are several years out. Education and schools have always been a real interest for me with both of my parents being teachers. Several years ago I earned a Master of Education degree in Instructional Technology and Design to help me better understand education and instruction. Prior to starting EVstudio I worked on a number of projects at Emory University and on the Denver School of the Arts. If you need any additional information, even about a project that you are just starting to consider, please feel free to contact EVstudio. The FAQ (Frequent Architecture Questions) page on the website has been revised to group questions together. The top ten questions that people ask us are at the top. Please keep asking questions and we’ll keep answering. Sean M. O’Hara AIA, Principal at EVstudio’s Denver Office, has been selected to give a talk on “How To Work With An Architect” during Denver’s Architecture Month 2009. The event is set for the evening of April 14, 2009. It will include another guest speaker and focus on what homeowners need to know about working with an architect on a custom home or remodel. The event is open to the public and we’ll keep you updated on the venue that is selected. You are currently browsing the EVstudio Architecture, Engineering & Planning | Blog | Denver & Evergreen | Colorado & Texas Architect blog archives for January, 2009.